Ex-007 James Bond Pierce Brosnan stars in the adaptation of the seventh book in a classic 13-part spy series November Man by Bill Granger. Three days before the start of production in Belgrade, Serbia, former Bond girl Olga Kurylenko is set to join the espionage action-thriller along with Luke Bracey (G.I. Joe: Retaliation) and Bill Smitrovich (Iron Man). It’s the older-spy, younger-spy (story.) The script is well-written. … We’ve had the rights for some years now and finally all the roads point in the same direction, so we’re going to do it. Why not? If not now, then when? ‘I think there’s enough room on the stage for another spy. Daniel can’t have it all to himself. 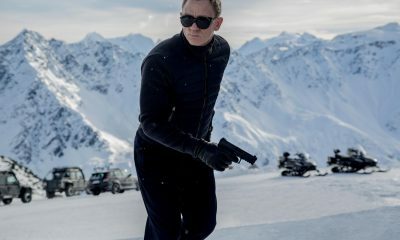 Really!’ he added, referring to his James Bond successor Daniel Craig. This is a movie that Brosnan’s company Irish DreamTime is making. Roger Donaldson is directing a cold war story from a script written by Michael Finch and Karl Gajdusek (Oblivion). The Irish actor portrays an ex-CIA operative who has been living a quiet life, but then is brought back into the game, pitted against his former pupil, played by Bracey (Dominic Cooper had originally been set to play the role.) The two are in a race to find a woman — portrayed by Kurylenko — who is hiding from her past and who holds the key to an international conspiracy. Kurylenko who was last seen opposite Tom Cruise in sci-fi pic Oblivion, and opposite Ben Affleck in Terrence Malick’s To the Wonder will next be seen in Vampire Academy: Blood Sisters.